Alphabetizing TV's all-timers of course must begin with the letter A. And since some letters aren't very forthcoming, we'll eventually be combining I, Q, U, X and Z in hopes of coming up with a halfway decent Top 10. 10. 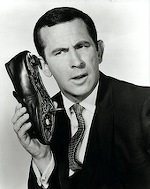 DON ADAMS -- CLAIM TO FAME: Played bumbling agent Maxwell Smart on CBS' Get Smart. Spawned several catchphrases, most notably "Would You Believe?" Steve Carell now in charge of movie franchise. EXTRA CREDIT: Won three lead actor Emmys as Smart, voiced the title character in the Inspector Gadget cartoon series and took five cruises on The Love Boat. 9. JENNIFER ANISTON -- CLAIM TO FAME: Co-starred as Rachel Green in the smash NBC hit Friends. Show ranked in prime-time's Top 10 for all 10 of its seasons. Copycat Rachel hairstyles abounded. EXTRA CREDIT: Won lead actress Emmy as Rachel in 2002. Made big news by marrying Brad Pitt and remains in the headlines as his ex-wife. 8. JASON ALEXANDER -- CLAIM TO FAME: Hilariously co-starred as high-strung George Costanza on arguably TV's greatest comedy ever, Seinfeld. EXTRA CREDIT: Received seven Emmy nominations for portrayal of George, but got totally screwed and never won. EXTRA CREDIT: Won a lead actress Emmy for both Maude and Golden Girls. Played Larry David's mother on a 2005 episode of Curb Your Enthusiasm. 6. 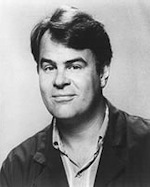 DAN AYKROYD -- CLAIM TO FAME: Forever enshrined as a charter cast member of Saturday Night Live, where he spent four seasons in classic guises ranging from huckster Irwin Mainway to harmonicat Elwood Blues. EXTRA CREDIT: Shared a writing Emmy for SNL and made it big in both feature films and as a co-owner of the House of Blues franchise. 5. DESI ARNAZ -- CLAIM TO FAME: Co-created sitcom format while also starring with wife Lucille Ball in groundbreaking I Love Lucy. His character, Ricky Ricardo, is part of the TV lexicon. EXTRA CREDIT: First minority actor to achieve mainstream TV success. Also formed vintage Desilu Productions with Ball. 4. ALAN ALDA -- CLAIM TO FAME: Starred as Capt. Benjamin Franklin "Hawkeye" Pierce in TV spinoff of M*A*S*H movie. Final episode, on Feb. 28, 1983, remains the most-watched prime-time program ever. EXTRA CREDIT: Has five Emmys to his name, most recently for 2006 portrayal of Republican presidential candidate Arnold Vinick on The West Wing. Also played a memorable recurring character on ER -- Dr. Gabriel Lawrence. Equally adept at comedy and drama. 3. ED ASNER -- CLAIM TO FAME: Played Lou Grant comedically on The Mary Tyler Moore Show and straight up on Lou Grant. EXTRA CREDIT: Won three acting Emmys on MTM and another two for his followup Lou Grant drama series. Also took home trophies for performances in two prestigious TV miniseries -- Rich Man, Poor Man and Roots. Served as high voltage president of the Screen Actors Guild, and has never been hesitant to speak his mind. 2. 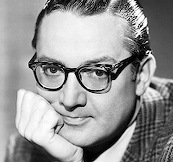 STEVE ALLEN -- CLAIM TO FAME: The very first host of NBC's Tonight Show, from 1954-57. EXTRA CREDIT: Numerous late night comics have been influenced by him, most notably David Letterman in his earlier NBC late nighter. Allen's innovative Meeting of Minds series on PBS matched up various historical figures. Incredibly never won an Emmy, but was nominated six times. Also wrote a gazillion books and songs. 1. 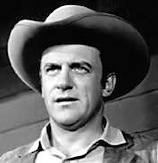 JAMES ARNESS -- CLAIM TO FAME: Walked tall as Marshal Matt Dillon on all 20 seasons of Gunsmoke, which ended in 1975 with a likely never-to-be-broken total of 635 prime-time episodes. Ranked No. 1 in the ratings for four consecutive TV seasons -- 1957-58 to 1960-61, establishing itself as the first so-called "adult" western. EXTRA CREDIT: Made five subsequent Gunsmoke movies for CBS and also played Jim Bowie in NBC's The Alamo: Thirteen Days to Glory. Had minimal success in the 1981-82 season as a contemporary detective in NBC's McClain's Law. Received three Emmy nominations for his portrayal of Dillon, but always came up empty.